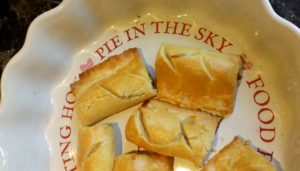 Gluten and dairy free sausage rolls, that melt in the mouth. 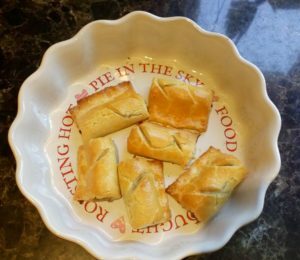 After achieving perfect gluten free pastry, I wanted to make sausage rolls but gluten free pastry isn’t as easy to manipulate as the real thing. So, I pondered on this problem and had a light bulb moment at 3:00am one night. I could roll the pastry out on top of cling film and then fold it over the sausage meat filling. So, the very next day I went to work on creating some real tasting and looking gluten free sausage rolls. 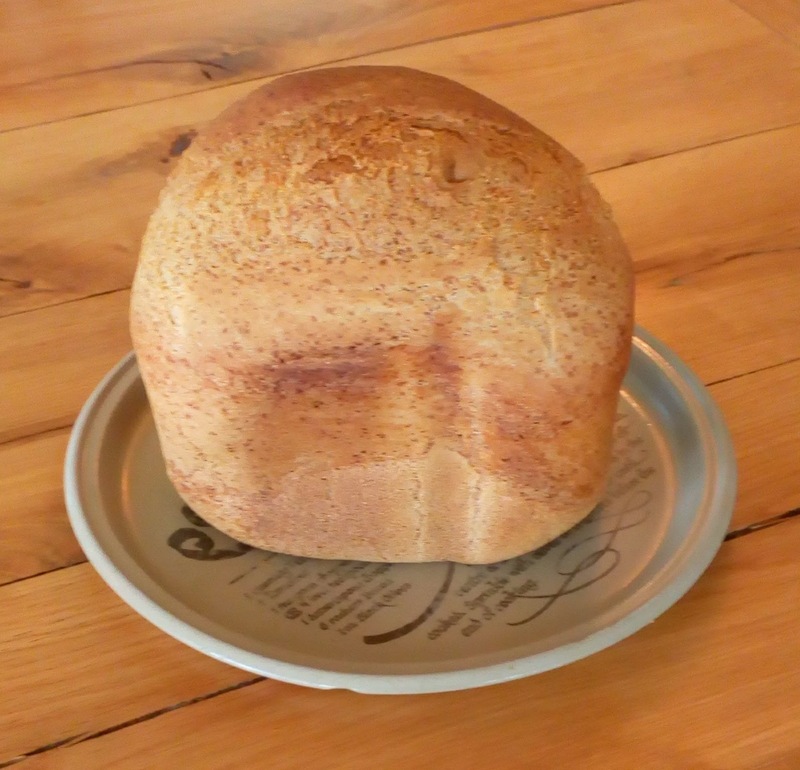 I use Glebe self raising flour in all my pastry recipes as it doesn’t contain cornflour which has it’s own form of gluten which some people are intolerant to. I have a family member who can’t tolerate any English grasses. But is OK with rice flour. 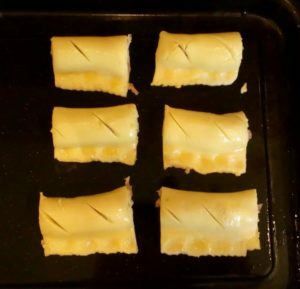 Here are the steps for creating the sausage rolls with the printable recipe and ingredients further down the page. First, make the pastry and put in the fridge to cool for at least 20 minutes. 2. Brush some beaten egg on the pastry either side of the sausage. 3. Lift the cling film and pull the pastry over the sausage and press the edge together. 5. 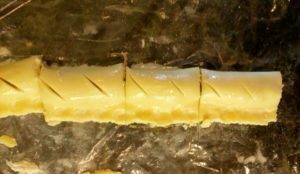 Using a sharp knife make diagonal slits on the top, trim the ends, then cut into sausage rolls about 3″ long. Or you can leave as one large sausage roll if you prefer. Do the same with the remaining pastry until you’ve used it up. 7. Enjoy at your leisure, or freeze for another day. I promise you, visitors wouldn’t even know these are gluten free. They just melt in your mouth. Enjoy at your leisure, or freeze for another day. I promise you, visitors wouldn’t even know these are gluten free. They just melt in your mouth. Put flour, fat, sugar and salt into a mixing bowl and mix up with a fork until a crumbly mix. Gradually stir in the egg mixture until it's a nice pliable dough. 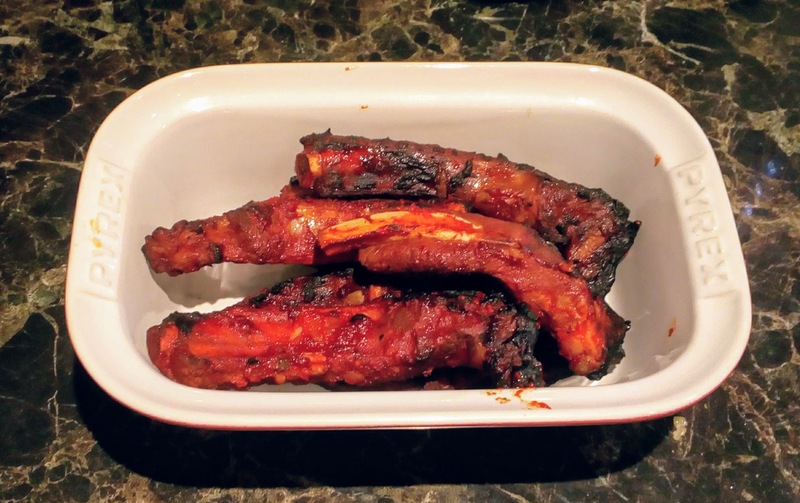 Place in an air tight container, put in a plastic bag or wrap in cling film until needed and store in the fridge. 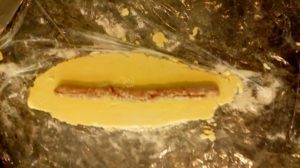 If you want to use it immediately, leave in the fridge for at least 20 minutes or it will be too sticky to roll out properly. Lay the sausage on the pastry and brush some beaten egg on the pastry either side of the sausage. 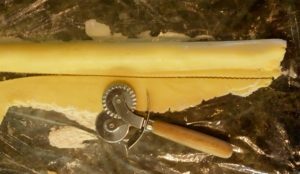 Lift the cling film and pull the pastry over the sausage and press the edge together. 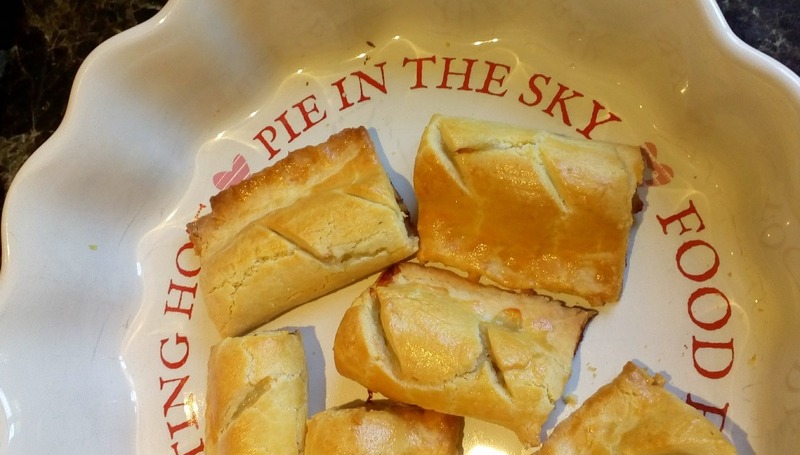 Using a sharp knife make diagonal slits on the top, trim the ends, then cut into sausage rolls about 3? long. Or you can leave as one large sausage roll if you prefer. Do the same with the remaining pastry until you’ve used it up.